Among the ways of Allah is that He chooses. From among the many planets, stars and galaxies, He chose the earth to be the seat of life. From among all of life, He chose human beings to be the best of His creation. From among human beings He chose the prophets to be the greatest of them. From Prophets He chose the Five Great Messengers (Ulu al Azm) to be the greatest. And from them He chose our beloved Muhammad (peace be upon him) to be the greatest. Similarly, from among all lands He chose Makkah, Madinah and Jerusalem to be the most sacred. From among all the Surahs of the Quran, He chose Al-Fatihah to be the greatest, and from all verses of the Quran He chose Ayat al-Kursi to be the greatest. And similarly among the months He has chosen Ramadan to be the greatest. 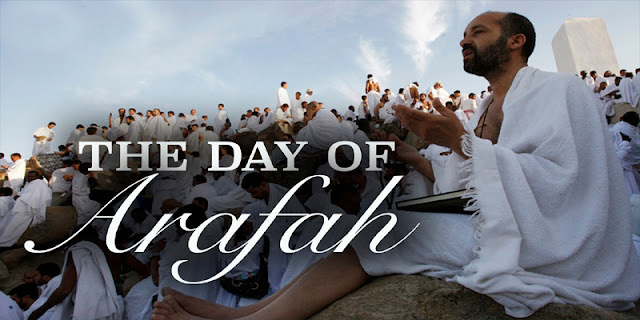 And among the days, He chose the Day of Arafah to be the best of all days. And that day is almost upon us. Imam ash-Shafi’i would say that if Allah only revealed Surah Al-Asr, then He would have done enough, as its message is so encompassing. The central message of Surah Al-Asr is that time is running out, human beings are all at loss except a chosen few. The exceptions are the people who believe, do righteous deeds, call one another to the truth and call one another to patient perseverance. These special days of Allah are meant to give us a boost in our worship and help us understand that our time is indeed short. Just like the special day of Arafah shall pass, so shall our life. Just like the day started so did our life. And just like the sunset, so shall our life go. It is about best using our lives. Just like we rush to do our good deeds on a special day, so should we try to in our daily life. “Neglect not your time, nor use it haphazardly. On the contrary you should bring yourself to account. Structure your remembrances and other practices during each day and night. In short, Imam Al-Ghazali is giving us a perfect way to determine our life, and in the short term our day of Arafah. He is teaching us to remain focused, and that is something that we shall all try to do. Three of the most important acts of worship that we need to do in the day of Arafah, among others are fasting, dhikr and du’a. Therefore, the aim would be to try and make the best use of this day if possible, and we will suggest a routine, which would be possible even if one is busy Insha’Allah. So here is the routine. Wake up Early– Pray Tahajjud and Have Suhoor. Make lots of du’a during the Tahajjud Time. Pray Fajr– Follow it up with some Quran and Dhikr. Some specific dhikr that are mentioned for Arafah and Dhul Hijjah are there, which we can aim to do 100 of each. They will not take more than 15 minutes but are immensely rewarding Insha’Allah. La ilaha illa Allahu, wahdahu laa shareeka lahu, lahul mulku wa lahul hamdu, wa huwa ‘alaa kulli shayy’in qadeer. You can get some sleep to recharge yourself for the rest of the day after this, or at least some rest. Pray 4-8 units of Duha before the time of Dhuhr comes in. if you are working, you can try to do so before you head out for work. Pray Dhuhr with the Sunnah before and after it. After Asr keep making du’a after du’a until it’s time for iftar Insha’Allah. This is just a guide to help us through the day of Arafah, and does not need to be strictly followed. One can add extra nafl prayers, charity and Quran throughout the day as well. May Allah accept your fasting, du’a, and all good deeds.